Why do you need to know how to make white sauce? 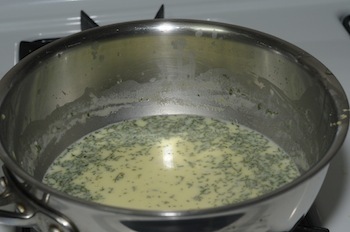 This is how you make a Bechamel sauce, which is one of the 5 mother sauces. 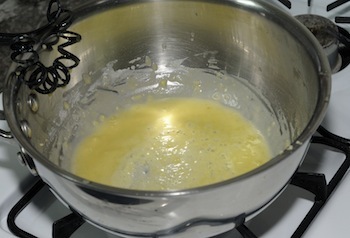 The process is also called making a roux, it is simply the start of how you make a white sauce. 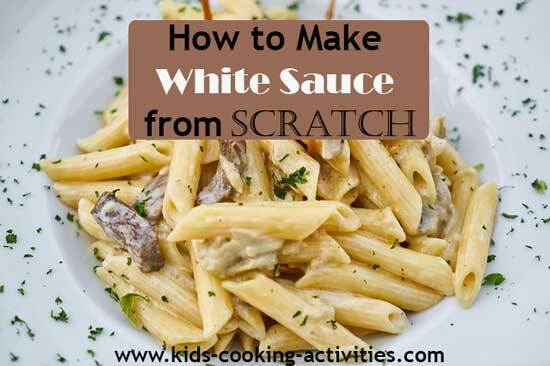 Whether it is an Alfredo Sauce, Garlic White Sauce, Cheese sauce or a plain white sauce this is how you do it in easy steps. 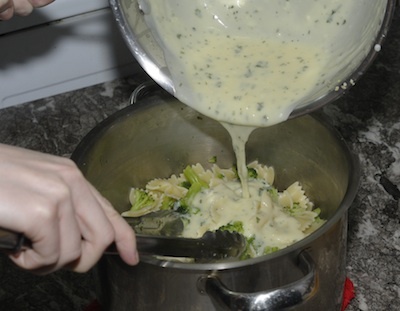 Making a white sauce is extremely easy and a great way to finish off your meals. Try adding sauce to cooked noodles, mixed into casseroles, replace cream of canned soups, or stir into cooked vegetables. Find the recipes for these sauces through the links above. Melt butter. 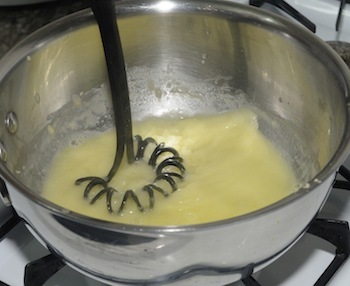 Whisk in flour making a roux. Whisk in milk and seasonings. Simmer until thickens. How to make white sauce steps. Whisk in your chicken broth or milk, whatever liquid your recipe calls for. Blend in cheese, seasonings or whatever other ingredients your recipe calls for. Add your sauce to your dish. We made Garlic Sauce Pasta in the photos above. The secret with this recipe is to serve it immediately. Once you mix your noodles with the sauce it is best right then, don't let it sit and then eat it! If you need to prepare ahead, leave the sauce separated from the noodles until right before serving. Start boiling water to cook your noodles. Meanwhile prepare sauce and add noodles to boiling water when ready. Sauté garlic in butter. 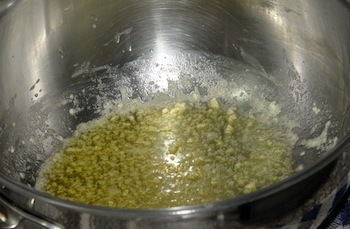 Whisk flour into butter and blend until smooth.Mixture will thicken slightly. Slowly whisk in chicken broth. Allow to heat slightly. Blend in milk and parsley. Add a dash of salt and pepper. Stir in cheese and allow to melt. Allow to cook several minutes on low while waiting for noodles to finish cooking. Drain noodles and pour sauce over top. Serve immediately. You can also stir in cooked vegetables such as broccoli or peas. Chopped cooked chicken can be added to the noodles before serving also. Prepare garlic sauce following steps above. Meanwhile, boil water and add pasta when water starts boiling. 1-2 minutes before pasta is done add frozen peas to the water. Drain. To serve, add pasta and peas to serving bowl, pour sauce over the top. Stir to coat and continue to stir bacon pieces into pasta. Serve.